The adidas Yeezy Boost 350 V2 is going big this year. 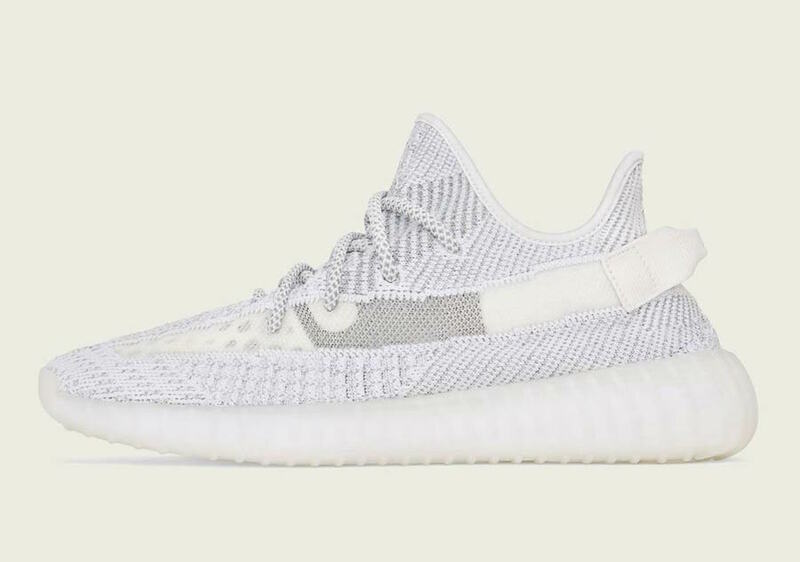 We have already heard plenty about the new colorways and silhouettes launching this year, now, we have a good look at the wild new “Static” 350 V2 launching this Winter. The adidas Yeezy Boost 350 V2 finally returned this Summer in the form of the silky yellow “Butter” colorway. The release marked the first of the coveted silhouette since December of 2017 and the beginning of a long and plentiful year of adidas Yeezy releases. 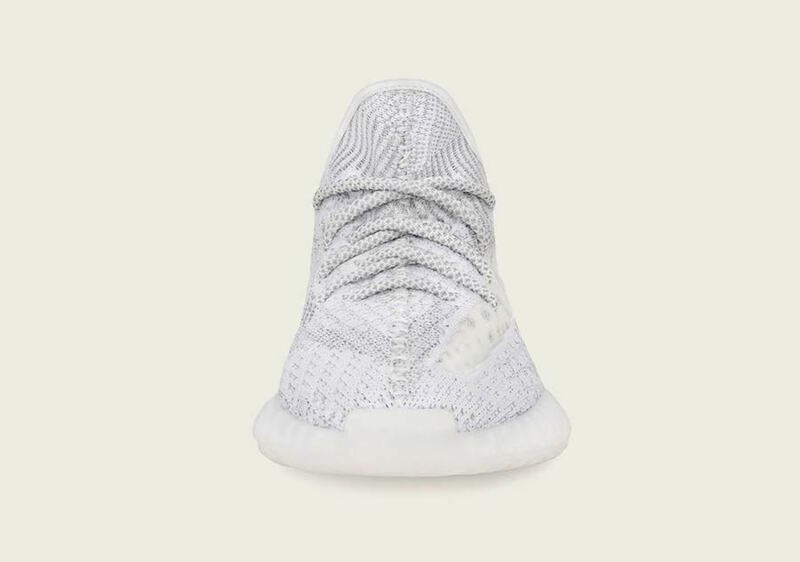 Despite an already burgeoning calendar for the remaining few months of 2018, it appears that Kanye and adidas have decided to squeeze one more pair in to show off their new large-scale production model. The new grey and white colorway was already leaked by Kim Kardashian last week, but now, the YeezyMafia has taken over to share a better look as well as early release information. 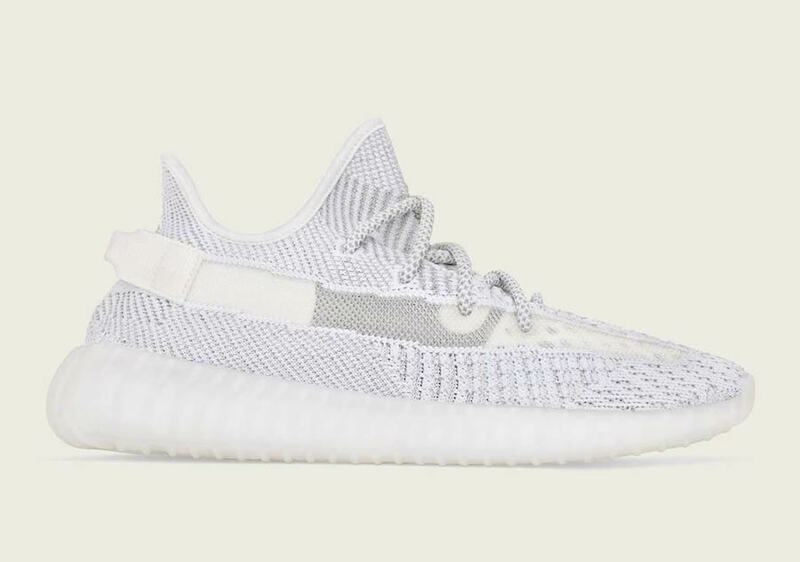 The new translucent adidas Yeezy Boost 350 V2 has been already been dubbed the “Static” colorway. The shoes Primeknit upper begins with a white base with different groups of grey lines layered on top, all pointing in different directions. As an added twist, the lateral stripe of the shoe typically dyed another color has been knit using translucent threads. The first time we saw this look on an adidas shoe was last year’s Sneakerboy x Wish PureBoost. The shoe was themed after the box jellyfish and featured see-through stripes on either side of the shoe. 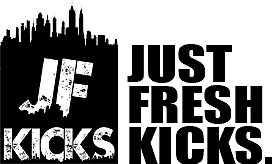 The release was the first of it’s kind, and an incredible display of innovation by the brand. The upcoming Yeezy Boost 350 V2 release will be interesting to see in hand, as it features a much larger clear area. 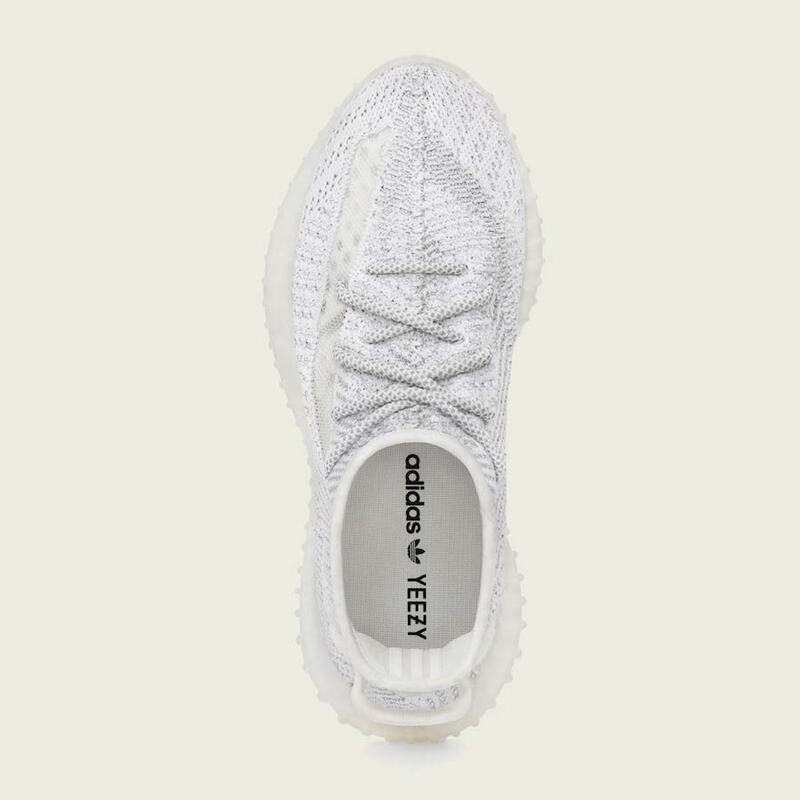 The translucent patch is knit loosely with thread, as opposed to adidas’ competitor’s see-through shoes which feature a more stiff, plastic-like one-piece upper. The new-look adidas Yeezy Boost 350 V2 is scheduled to release in December 2018, though no official date has been specified. The translucent “Static” look will retail for the standard $220, while the fully 3M pair will retail for $250. While this pair will be extremely limited (rumored to just 5,000 pairs) the standard Static will likely release from a wide variety of retailers. Check out the official images from the YeezyMafia below, and stay tuned to JustFreshKicks for more adidas Yeezy news.